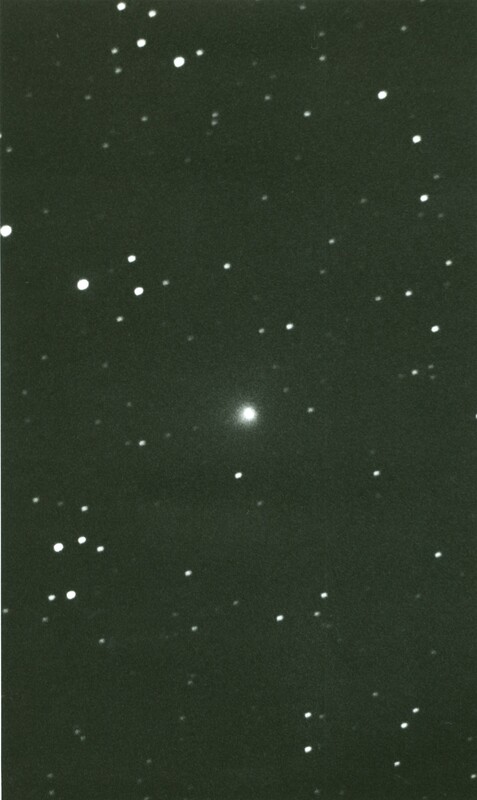 Comet Meier, 1978f, discovered visually by Rolf Meier of the Ottawa Centre on April 26, 1978. April 27th with 40-cm. telescope of the Indian River Observatory. Photo by Rolf Meier. This photo was published on the front cover of the June 1978 National Newsletter.